ECO-LIFESTYLE CENTER | "Global Possibilities"
Istanbul is perhaps one of the world’s leading examples of unsustainable retail development. In a market where 20 years ago there were less than a handful of shopping centers, the market is now littered with hundreds, many of which are now struggling to find their reason for existence. It is absolutely clear that future centers will have to be more clever and work much harder to find receptive and loyal customers. With a design that pre-dates the current retail ‘boom and bust’ cycle, we feel that the current design of the retail center does not reflect the world class potential of the project at large. Despite high and ever increasing competition, we believe that eco-lifestyle center has the potential to find a unique and meaningful and lasting place in the Istanbul retail scene. In a market where the brands commonly take priority over the substance of the design, we believe that there is no greater ‘true luxury’ than green space at the heart of the city. Looking at this location within an urban forest in a relatively underserviced catchment area, the right approach can create something very original indeed. To unleash the full potential of the retail center, we propose to analyse the following areas in more detail and create compelling sustainable solutions. The retail center acts as an icon of sustainability for eco-lifestyle center. Topography, orientation, technologies, and materials will all determine the project’s viability as a truly sustainable building. Such considerations can be expanded, to measureable benefit, to the residential section as well. Overall, a comprehensive approach to ecological design will both produce a world-class building, and an irrefutable image of eco-retail in Istanbul. True sustainability views all project elements as part of an integrated eco-system of resources. Just as in nature, eco-lifestyle center’s resources, such as the forest, housing, and retail, can function optimally when working in concert. Natural resources and human activities are designed to be closely intertwined and working toward each others’ mutual benefit. Careful analysis and a comprehensive site strategy will help to align the projects many disparate aspects and enable it to achieve its full potential. From the same perspective, eco-lifestyle center’s buildings and overall development should be built to the highest standards of sustainable building. In addition to positive marketing and the “feel-good” factor, eco-building yields significant savings on utilities and resource consumption. 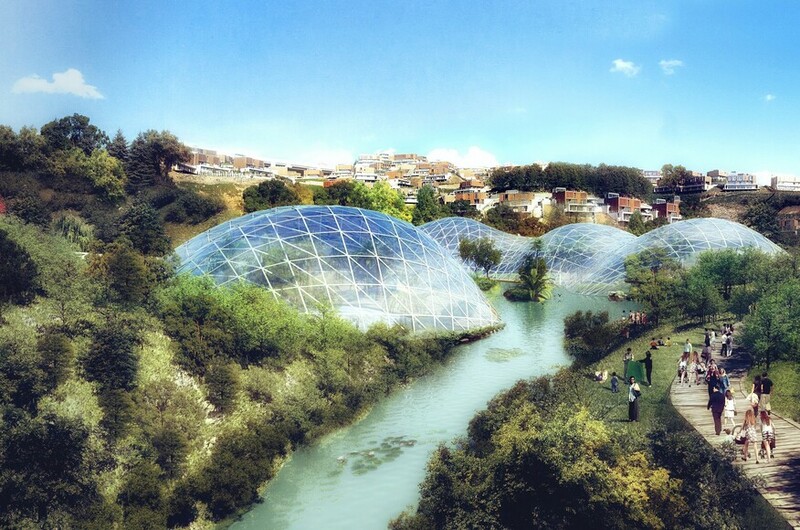 Given the site’s opportune location, sustainably integrating the project’s uses with its unique eco-system can set a new standard for sustainable building in Istanbul, if not the world.